The IMAX release of Inferno will be digitally re-mastered into the image and sound quality of The IMAX 2D Experience with proprietary IMAX DMR® (Digital Re-mastering) technology. The crystal-clear images coupled with IMAX's customized theatre geometry and powerful digital audio create a unique environment that will make audiences feel as if they are in the movie. Happy Friday, IMAX fans, and welcome back to another edition of Friday Feature! In celebration of the IMAX release of Inferno—the third installment in the $1.2 billion-grossing Dan Brown ( Da Vinci Code) franchise—I’d like to spotlight the film’s acclaimed director Ron Howard and star Tom Hanks and their incredible legacies to date with IMAX. The Hanks-Howard dynamic duo hold a special place in the IMAX pantheon as their modern classic Apollo 13 was the very first film to have been digitally re-mastered with the proprietary IMAX DMR® (Digital Re-mastering) technology and released in IMAX theatres in 2002. 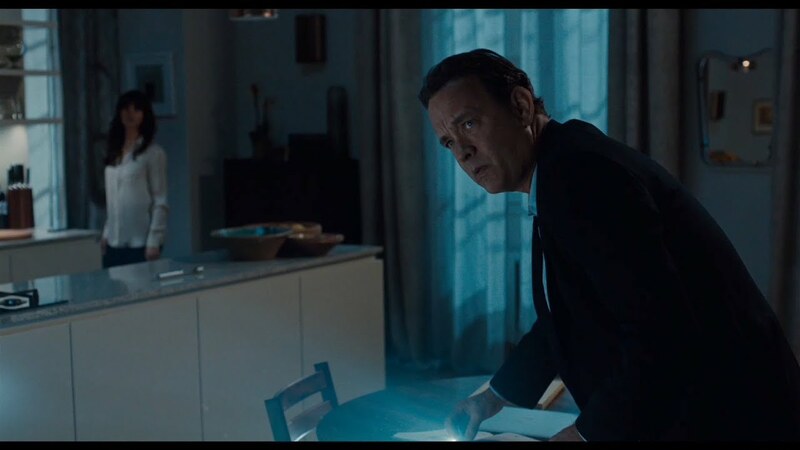 It was the beginning of an incredible legacy of releasing Hollywood films in IMAX and one that has included several subsequent films from Howard and Hanks, including the former’s In the Heart of the Sea(2015), as well as this year’s Hanks-starrer Sully, which was filmed almost entirely using IMAX cameras. Other past films starring Hanks (or his voice) that were released in IMAX include Forrest Gump , The Polar Express , Cloud Atlas and Toy Story 3 . Go check out Infernoin IMAX (opening today); also, be sure to enter for a chance to win a 6-day/5-night trip for two to Florence, Italy, through IMAX.com. Enjoy the IMAX® Triple Crown Offer for a limited time. Use your Regal Crown Club Card when seeing two different qualifying IMAX movies from 8/5/16 through 11/30/16 and get $10 off your third adult IMAX title purchase. The offer will be automatically loaded onto your Crown Club card with the qualifying purchase. The $10 offer can only be redeemed at the box office of any participating Regal IMAX location. Valid for Regal IMAX locations. The $10 discount expires 11/30/2016 if not used.